While crêperies originated in Brittany, that northwestern region of France famed for its rain and a slew of lovely edibles, they can now be found all over. If you must know, my very favorite crêperie is Le Bain des Fleurs; a family operation perched on a windy boardwalk in a town called Chatelaillon. What can I say? I am a fool for the multi-tonal blue and gray interior, which mirrors the sea. The stellar crêpes and affable service don’t hurt either. A crêperie’s menu is typically split into two equal halves: crêpes salées (which are made with buckwheat flour and filled with savory fixings) and crêpes sucrées (made with white flour and eaten for dessert). You should get one of each. To drink, it is appropriate to order hard cider served in ceramic bowls, because it is traditional and because it tastes very good. Trust me on this. Of course, preparing crêpes at home is also common, and very easy. By staying in house, you have the ultimate freedom to use whatever fillings you like. 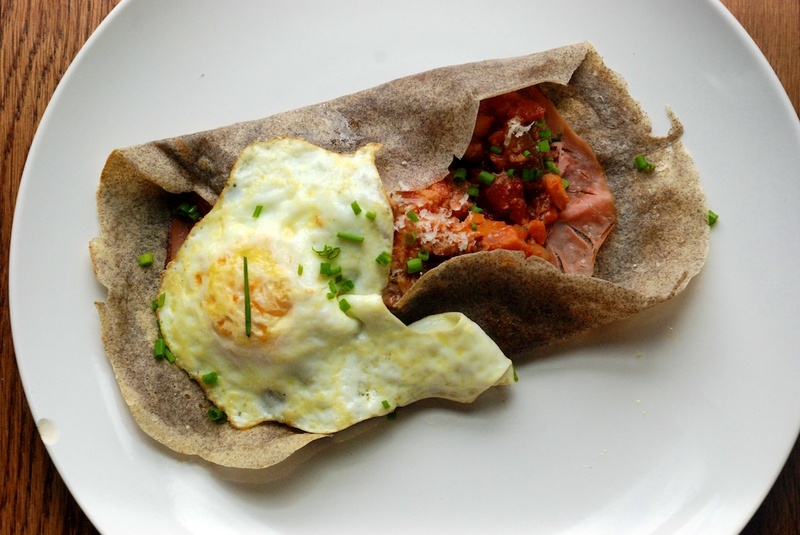 In this way, crêpes salées (also called galettes) become a vehicle for all manner of leftovers. 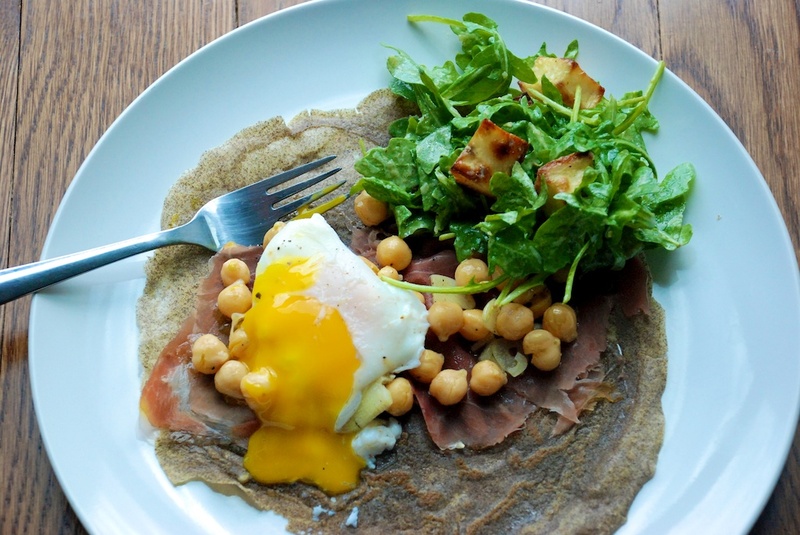 It should be noted that the addition of an egg almost always improves a savory crêpe. Crêpes sucrées make it easy to involve children in the cooking process. Kids can stir the simple batter, as well as help adorn the crêpes once they are made. 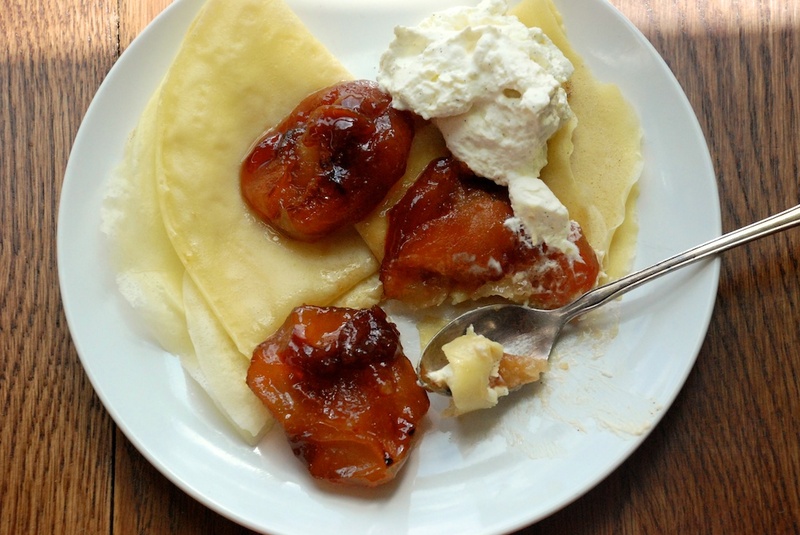 My favorite way to eat a dessert crepe is the simplest: a dusting of sugar and a squeeze of lemon juice; a method I learned from the Frenchman’s mother. Topped with jam, honey, yogurt, nutella, fruit or peanut butter, sweet crepes transform themselves into breakfast the next morning, or an afternoon snack the following day. For both crêpes salées and crêpes sucrées, it is very good to make your batter ahead of time. The night before is ideal, but at least two hours in advance is required. (If you are making the crepe batter the night before, refrigerate it, and then let it come to room temperature before cooking.) You want to give it time to relax into itself, and for the flour to absorb the liquid evenly. If the batter looks a little dry after this resting period, it’s ok to add a bit more liquid. Another great thing: crepes freeze incredibly well. My suggestion is to make the entire batch at once, even if you will have extra. Simply layer what you won’t eat between parchment paper, move to a sealed plastic bag, and voila! Now you have crêpes for the next time too. 1. In a large bowl, mix all the ingredients together. 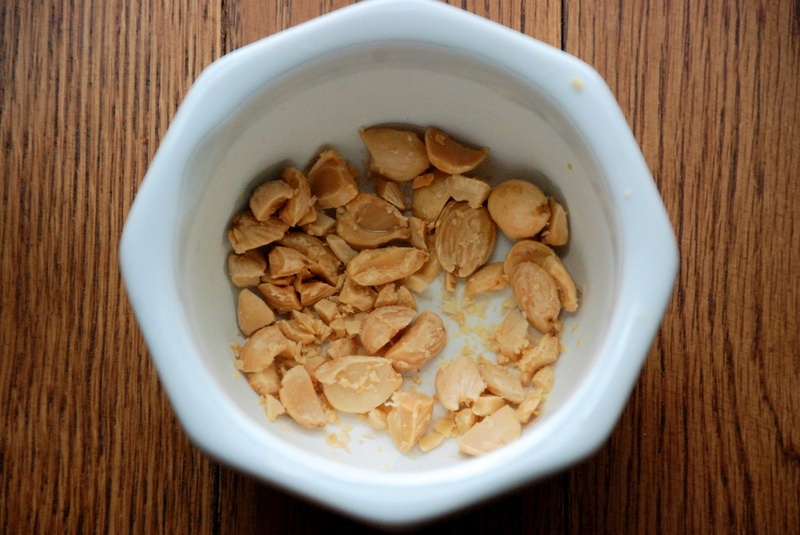 If you are letting it rest overnight, cover the bowl and move it to the refrigerator. (Bring it to room temperature before you start cooking.) If it will only sit for 2 hours or so, cover it and keep it at room temperature. 3. 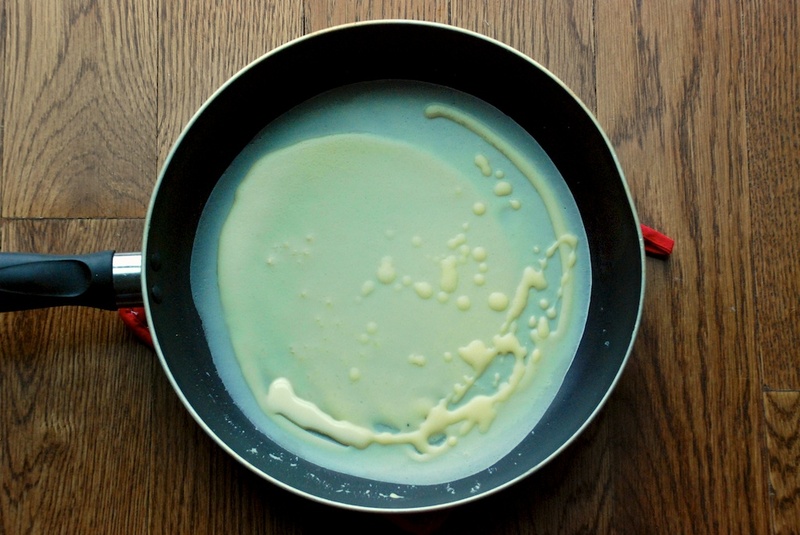 When the pan is hot, use a ladle to quickly drop a measure of the batter into the pan. 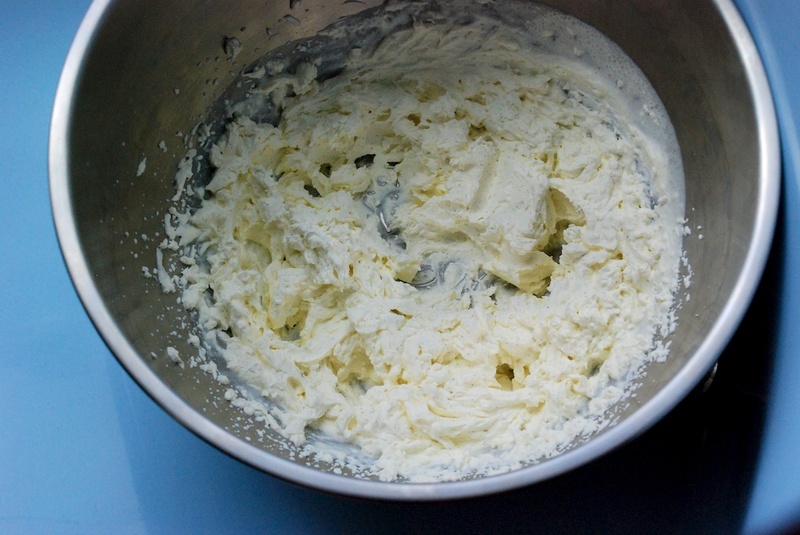 Turn the pan in a wide circle, as quickly as you can, so that the batter distributes evenly and rapidly. You want as thin a pancake as possible. Don’t worry if the first one is a disaster; it’s part of the process. Save the disasters for yourself. You will get better with each crêpe. 4. As the crêpes cook, pile them on a plate; you want to cook all of your crêpes before you start filling them. This is what I invariably order when I eat out in a crêperie, and what I make most often at home too. 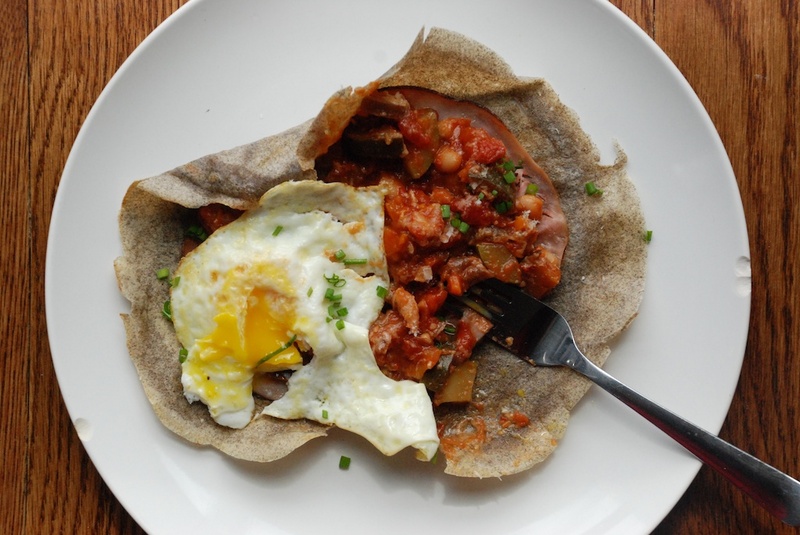 It’s super easy; plus, ham, cheese, ratatouille and eggs get along very well together. The ratatouille recipe here is a suggestion; honestly, I make a slightly different version every time, based on my mood and what I have around. 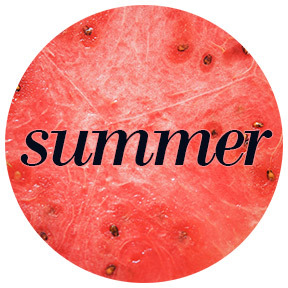 As long as yours includes some combination of tomato, garlic, onion, zucchini, eggplant and pepper, along with fresh herbs like basil and thyme, you are in business. 1. Heat some olive oil in a wide pan or Dutch oven. Add the minced garlic. When the garlic is fragrant, add the onion. When the onion is translucent, add the carrot. And so on and so forth; add the eggplant, the zucchini, the wine, the herbs, and the crushed tomato. 2. Cover the pan a bit, and let the ratatouille simmer over low heat for a while. Add the white beans, and let it simmer for a while longer. It’s ok if the beans start to fall apart a little. The ratatouille can be made up to a few days ahead of time, and honestly, it tastes better with a little age. In a non-stick skillet, heat some more of that good quality olive oil. When the pan is quite warm, crack the egg. Sprinkle some salt and pepper onto the egg as it cooks. Cook one egg at a time, moving them to a small plate near the stove top as you go. 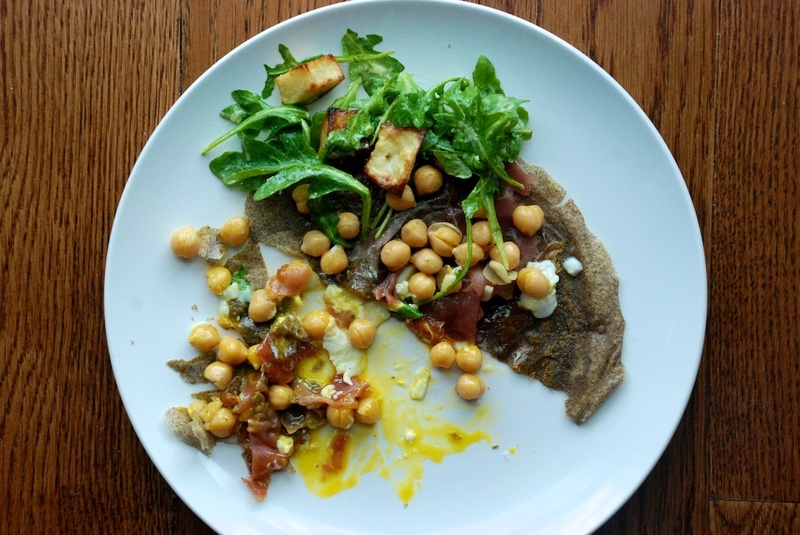 In your egg pan, lay down one of the buckwheat crêpes, so it heats up a little. Layer: the ham, the ratatouille, the cheese (you want it to melt a little) and then the egg. Garnish the whole thing with chives, and a little drizzle of olive oil, if you like. Preheat the oven to 425F. Peel and dice both potatoes, cutting them into bite-sized pieces. Toss the potatoes generously with olive oil, salt and pepper, and then move them to a parchment paper-covered baking sheet. Bake them for about 30 minutes, or until the potatoes are golden brown. Set aside. Spoon the mustard into a small bowl. Add the lemon juice, and some salt and pepper. Mix this together before adding a few tablespoons of olive oil. Give it a taste. Does it need more freshly ground black pepper? It probably does. Add more, and then set the bowl aside. Heat a healthy measure of olive oil in a non-stick pan. When the oil is hot but not smoking, add the garlic. Allow it to simmer until it is fragrant. 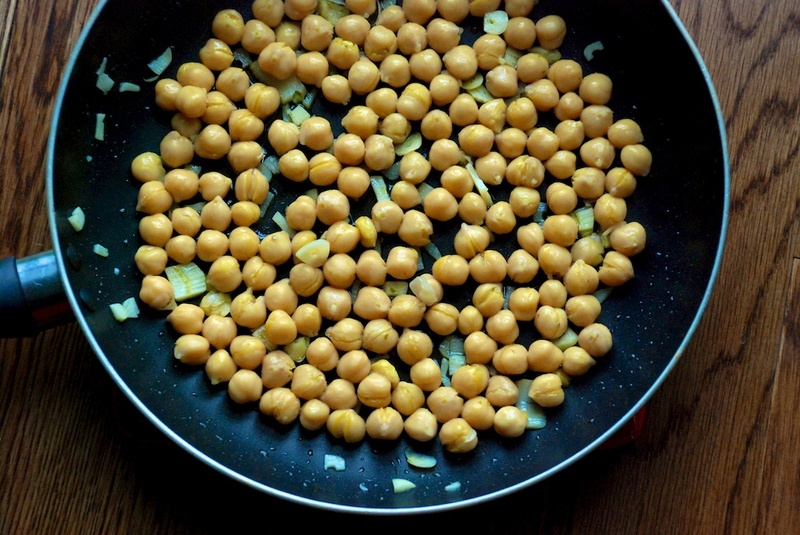 Add the chickpeas, and stir them gently, until they are swathed in olive oil. Cook just long enough to heat them through. 1. Heat a wide, deep pan with water until it is just barely simmering. 2. 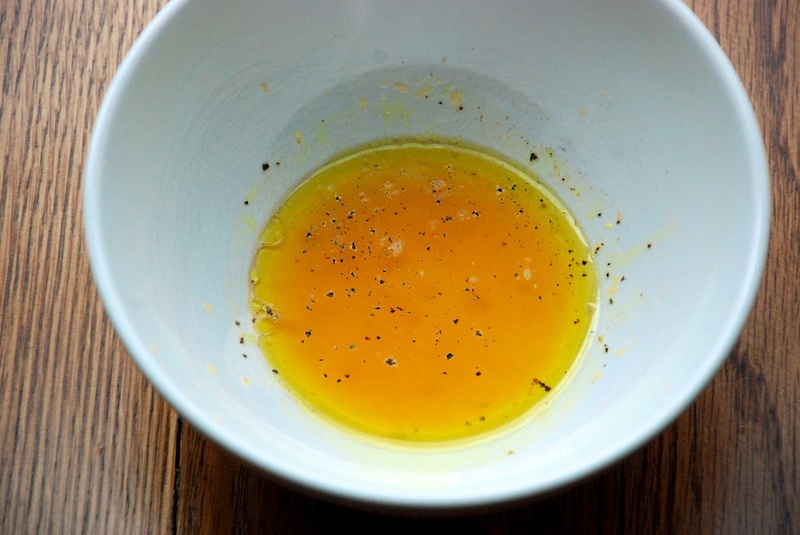 Meanwhile, crack your eggs into individual cups, and add a splash of vinegar to each one. Let each egg sit for a few minutes in the vinegar, while the water is heating. 3. When you are ready to poach, use the back of a spoon to make a little whirlpool in the water; drop an egg into the middle. You can use the spoon the nudge the egg whites nearer to the yolk. I am a wimp, so I poach my eggs one at a time. 4. 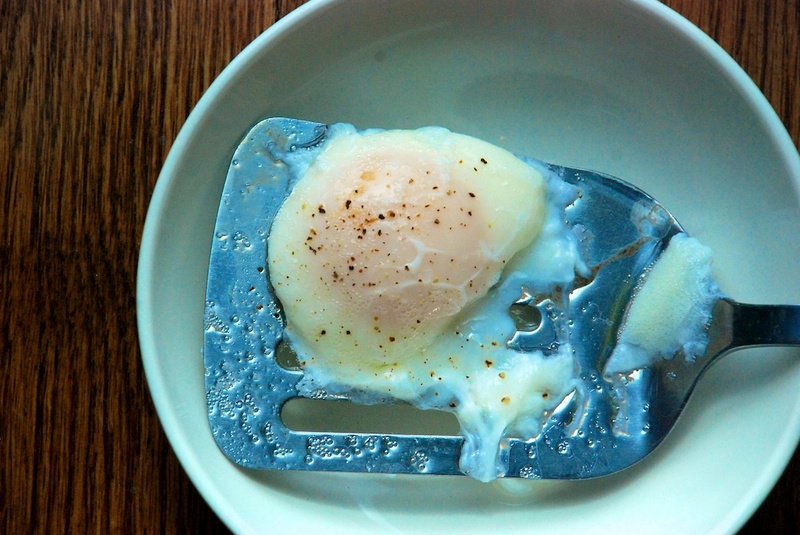 Let each egg poach for a few minutes, and then remove them from the water with a spatula. You can poach your eggs a few hours ahead of time, and gently reheat them just before service. It is also advisable to use the freshest eggs you can find. Move the arugula to a large bowl. Top the lettuce with as much Pecorino as you feel like grating. Next, add the potatoes, and then the dressing, and toss until everything is covered. 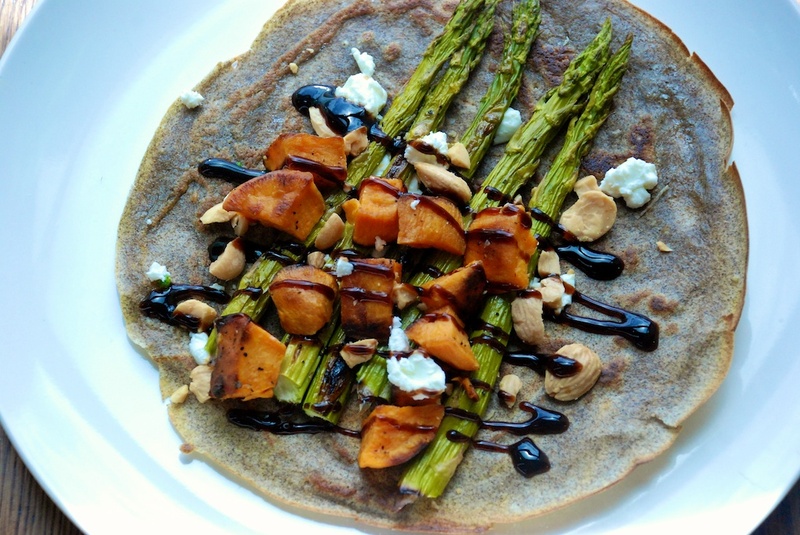 Place a buckwheat crêpe in a non-stick pan. 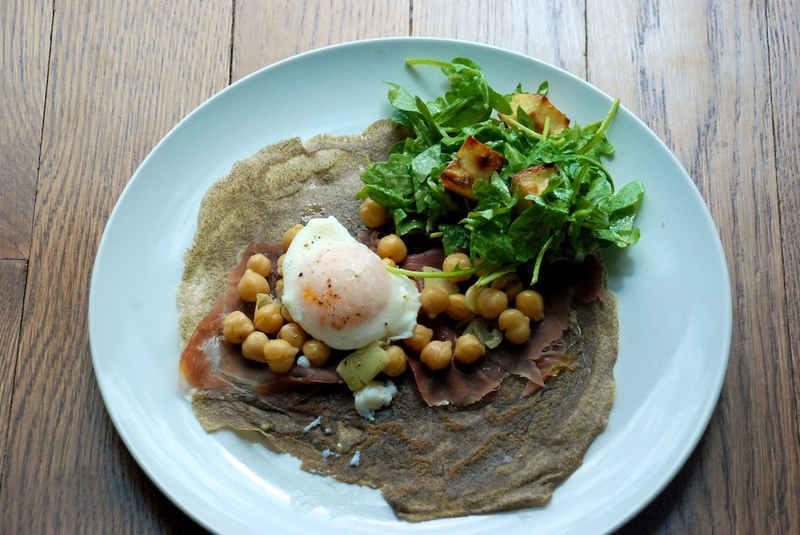 Layer: a slice or two of Serrano ham, the chickpeas, the salad and a poached egg. Repeat, and serve immediately. 1. Preheat an oven to 400F. 2. In a saucepan, melt the duck fat. Meanwhile, peel and dice both sweet potatoes. When the duck fat is melted, give the sweet potato cubes a bath, and add some salt and pepper for good measure. 3. 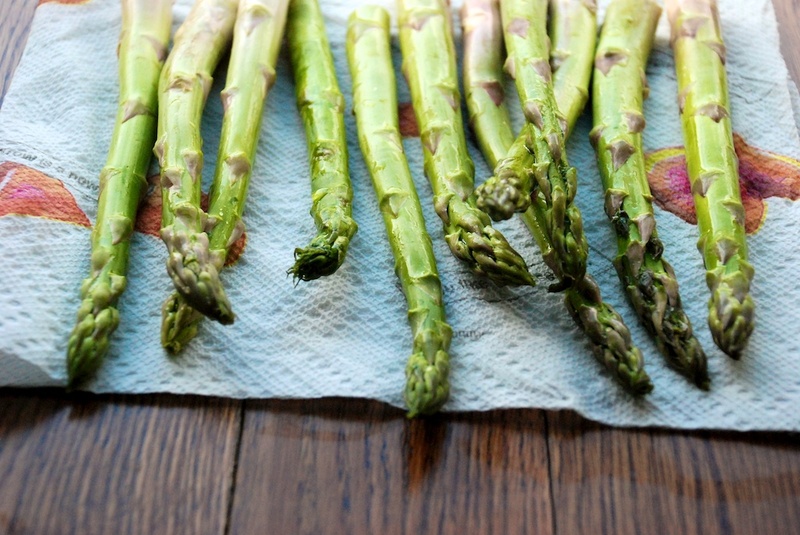 Wash and dry the asparagus, and then rub each spear down with olive oil, salt and pepper. 4. 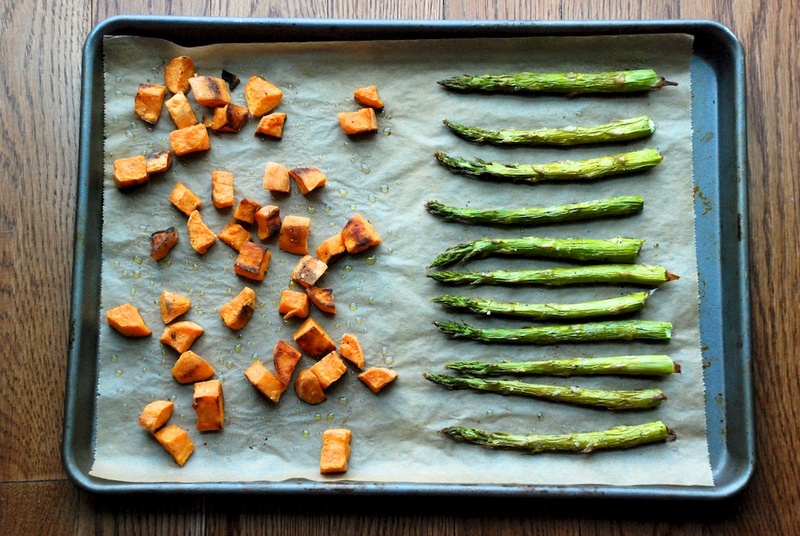 Throw everything on a parchment paper-covered baking sheet, making sure not to crowd the vegetables. 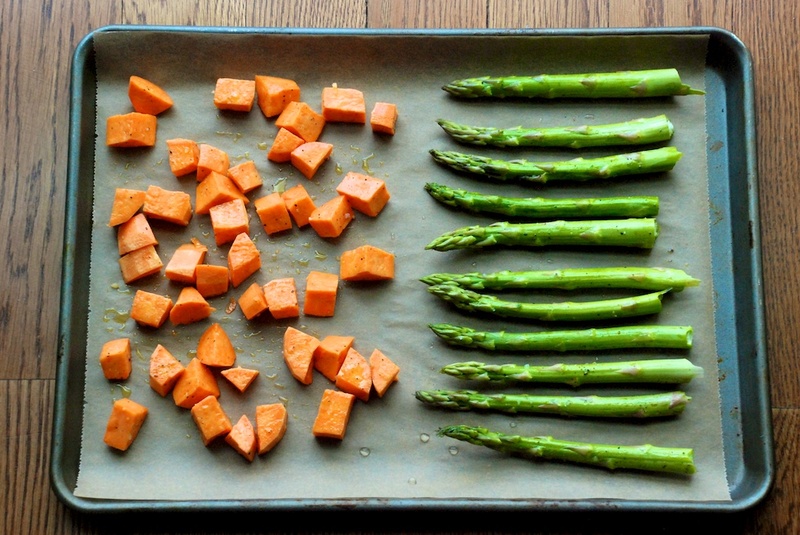 I used thick asparagus and cut my sweet potatoes small, so both vegetables cooked at the same rate. However, if your asparagus are thin, keep an eye on them, they may need to come out of the oven earlier than the sweet potato. 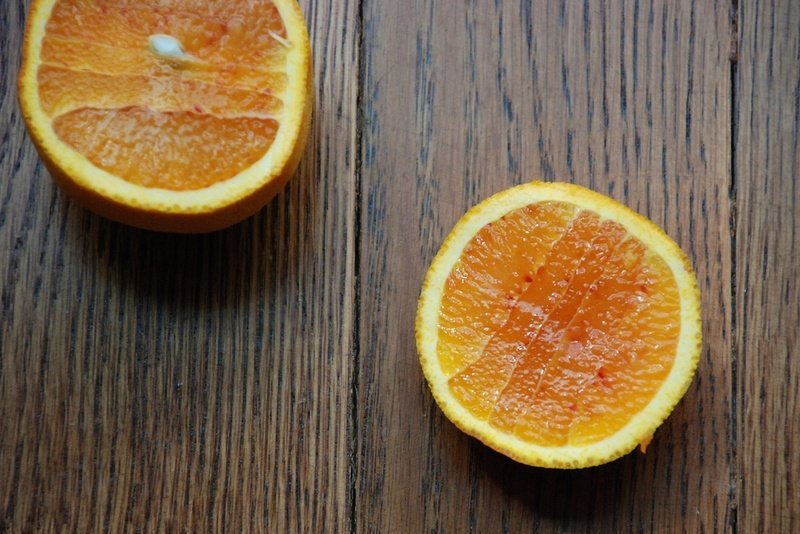 In a small bowl, combine the blood orange juice with the avocado oil, and a little salt and pepper. Toss in the frisee and mix until it’s covered in the dressing. Easy peasy. 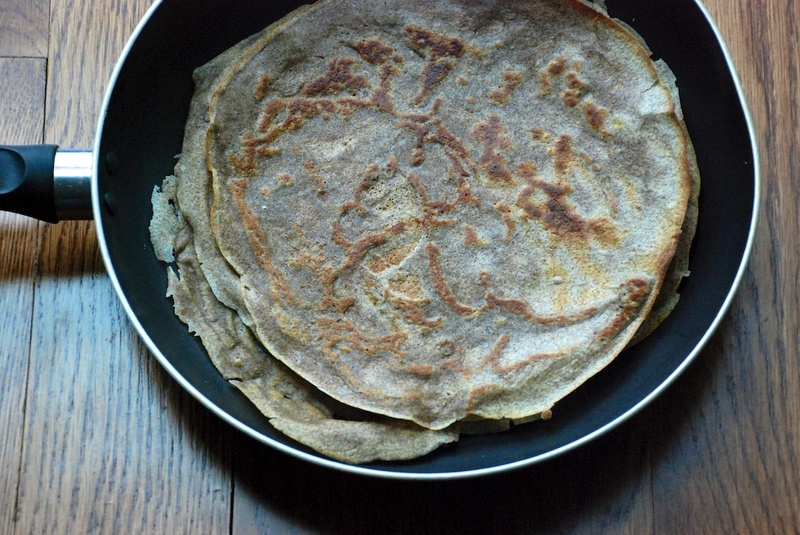 Heat each buckwheat crêpe in a non-stick skillet. Add the vegetables, and then sprinkle on the goat cheese and the almonds. Top with the salad, and a drizzle of the balsamic cream. 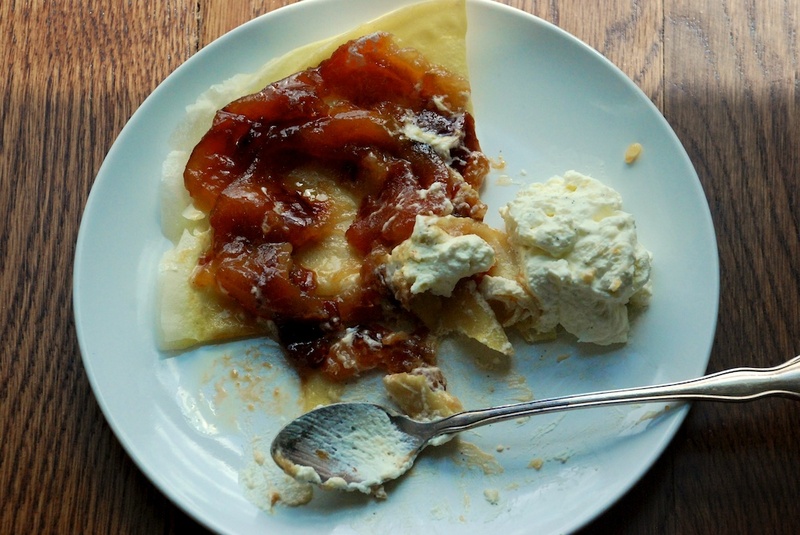 The apple portion of this recipe comes courtesy of Smitten Kitchen’s Tarte Tartin recipe. I’ve made it many a time, and it is completely fantastic. 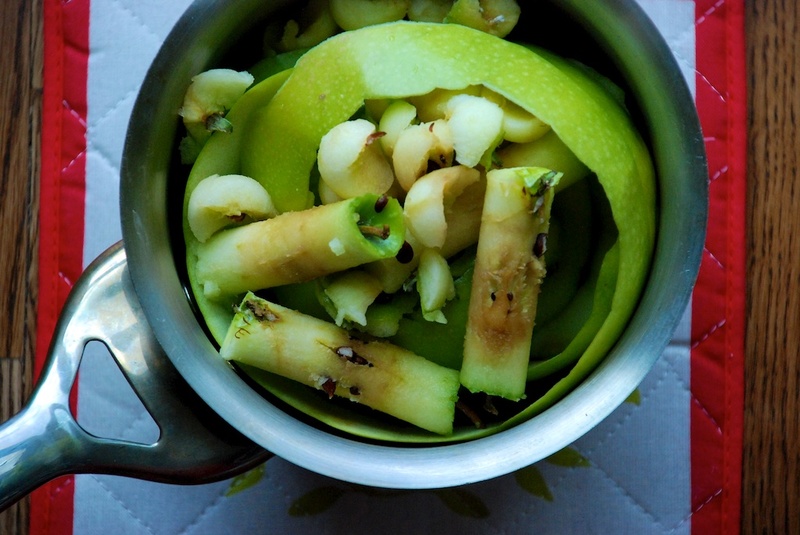 My suggestion is to save the apple cores and peelings: throw them into a pot with a cup of sugar, some cinnamon, vanilla or nutmeg, and enough water to cover everything. Let it simmer away until you have a syrup. Strain out the solids, and use the syrup for anything from cocktails to an ice cream topping. 1. In a heavy pan, heat the stick of butter until it is just melted. Add the sugar, and stir until combined. 3. 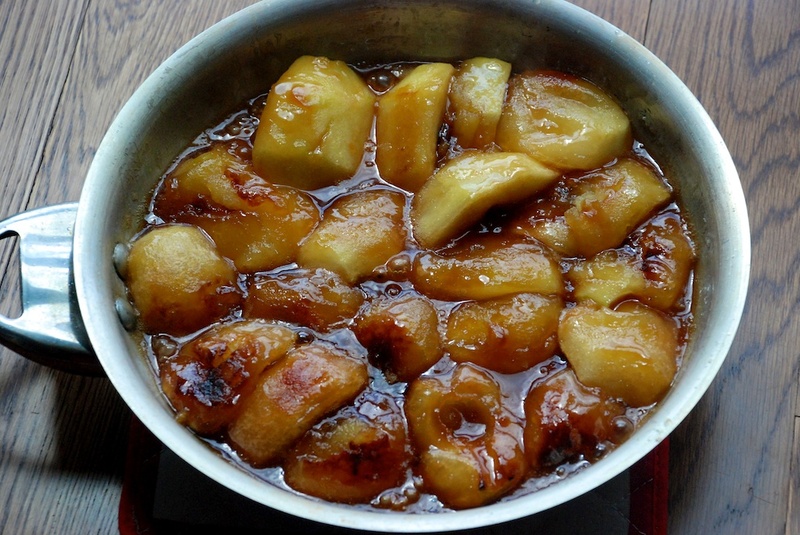 Place the apple pan over medium-high heat, and cook for about 20 minutes. You want to flip each apple when their bottoms are amber-colored. 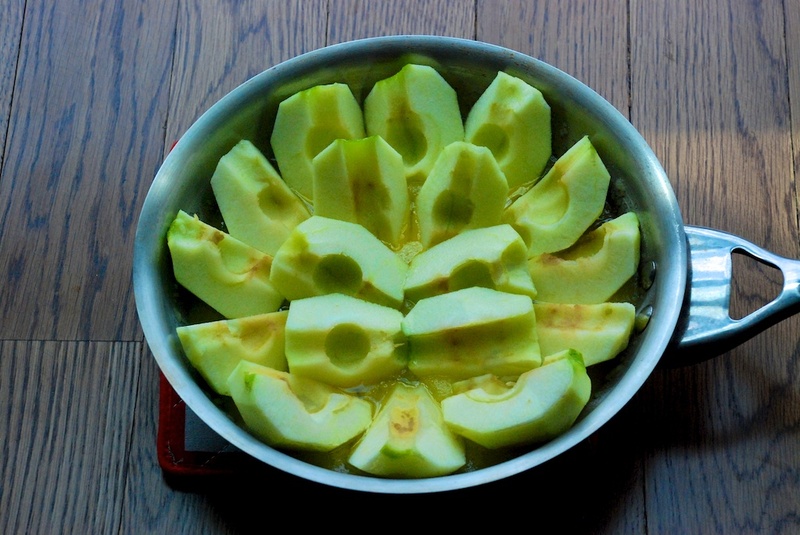 This is where you can add the leftover apple pieces to the pan, if there is room after you’ve flipped the apples. Cook for another 5 minutes or so. Pay attention as you do this; you want a deep caramel, but not a burnt one. Fold one or two sweet crêpes per person into little envelopes. Top with a few pieces of apple, and the cream.